You’ve been tasked with finding a hosting solution for your project. Typically, you’re looking for a way to get a website online. But, there are other reasons why you would need access to a server. Maybe you’re running proprietary software or a web app. Maybe you’re an avid online gamer who wants to set up a server for dedicated multiplayer. There are many reasons beyond having a website that a person would be interested in signing up for a hosting plan. Regardless of the reason you’re shopping around for a host, it’s important to know what your specific needs are. Whether you opt for a VPS or a dedicated server, it’s important to look at the specs on the hardware. While there are certainly tiers when it comes to overall horsepower of a hosting solution, each specific category will have its own specs to peruse. Yes, a VPS is faster than shared hosting and dedicated servers are the fastest of all, but you can get dedicated servers at higher and lower relative speeds. At the end of the day, servers are computers just like the ones you use at home or at work. They have the same components with the same functionality. However, the specs you’d look for when building your own gaming PC differ from the specs you need for a server. It’s not an exact match. You’ll notice pretty significant capacity differences that you wouldn’t even dream of using on a home machine. That’s because performing a task like hosting a website is significantly different than running an entire operating system with an assortment of applications and sufficient space for storing all of your data. Let’s do a virtual tear down of server hardware and examine the major specifications prospective customers should take note of when looking to sign up for a hosting plan. Just like when shopping for personal computers, it’s important to start with the processor since it’s “the brain” of the machine. There are two main manufacturers of processors that you’ll find in nearly every machine: Intel and AMD. Some simpler devices like netbooks use ARM processors, but they haven’t really been adopted for server technology due to their overall low power. Some servers have attempted to use them but the market seems to be highly niche, if not fading away. The two major players have their supporters and detractors. In discussions of PCs this is much more pronounced because there are positives and negatives to both, especially when it comes to high-performance systems and wanting to control costs. With servers, however, it’s generally accepted that Intel is the way to go. This is because, from a performance standpoint, Intel is faster. Intel processors have quicker read and write speeds from memory on a per-core basis. Many of the offerings you see will advertise sixteen cores. 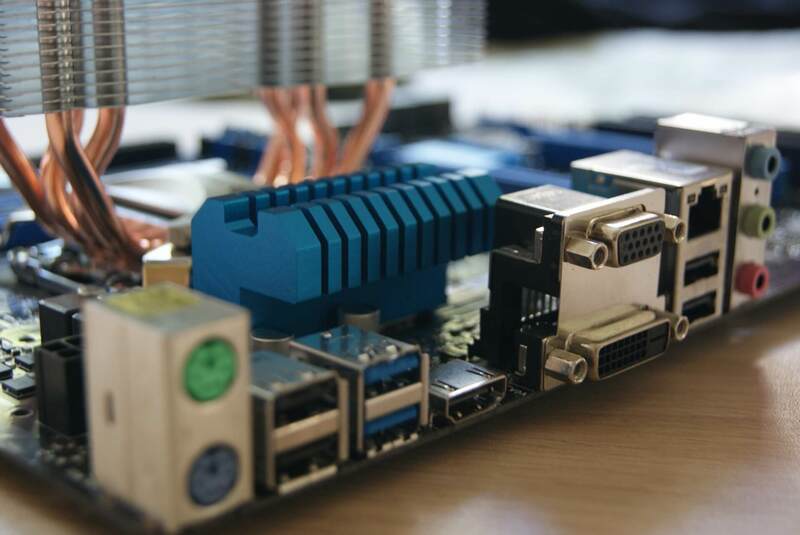 When you get to dedicated servers, you’ll begin to see processor choices that more closely resemble the processors you’d find in a high-performance home machine. Most will be familiar with Intel’s i7 processor which is generally considered the top tier for the typical consumer machine. Beyond that is their Xeon line which you’ll find in the most specialized machines designed for maximum performance. Most people shopping for hosting won’t have to worry too much about the processor if they’re only looking to host a website because they’ll be opting for a VPS and won’t need that kind of CPU power. Taxing use cases like heavy software will probably benefit from a dedicated server with at least an i7. If the processor is the brain, the RAM dictates how many different processes the brain can juggle at the same time. It is memory, after all. Choosing the appropriate RAM for your server is when you’ll notice a fairly big difference in comparison to shopping for RAM for a personal computer. While most people will tell you four gigabytes of RAM is the absolute minimum a desktop or laptop should have (and realistically, it’s more like eight gigabytes these days) the same doesn’t hold true for your server. The bare minimum your hosting solution would need is about 512 megabytes but realistically you want to opt for one gigabyte or more. A standard VPS plan starts at the one gigabyte mark and would be fine for simple sites with average levels of traffic. Also keep in mind here that you are using a portion of a machine rather than a whole machine. You’ll notice this difference when you start shopping for dedicated servers and see they start with sixteen gigabytes of RAM. Multiple factors go into having to figure out how much RAM you need. While a definitive calculation is difficult to make, you of course want to opt for more if you can afford it. Here are some variables you’ll want to be aware of. Traffic: The higher the anticipated traffic, the more RAM you’ll need to keep up with demand. Content Management System: Popular CMSes like WordPress and Drupal need at least one gigabyte of RAM, though two certainly wouldn’t hurt. Control panels: Software like cPanel will count towards what uses up your alloted RAM. Scripting languages and databases: Running PHP (like in WordPress) and SQL databases will require higher amounts of RAM. Applications: Just like on any computer, the more applications running simultaneously on the device, the more RAM needed to keep them working. Finally, let’s look at storage. Like with your own machine, you have a choice between standard hard drives and SSDs. A managed SSD VPS is often a popular choice because you’re getting a significant speed boost by using an SSD. Solid state drives have a few advantages over their spinning hard drive counterparts. For the purpose of a server though, the speed boost is your primary concern. Aspects like greater durability are nice, but that’s really your hosting company’s concern. As for how much storage you need, the answer might surprise you. If you see a plan that offers thirty gigabytes of space, you might be taken aback. Your smartphone has more storage than that. But, you can’t think of hosting like a personal device. If you’re hosting a simple site, all that’s taking up space are text files and visual assets. They don’t add up to much at all. Now, if you’re hosting your email on your server too, you’ll quickly run out of space. Essentially, you need to be aware of what you actually need to keep on your server. Does your site require huge databases? Will you be hosting multimedia? Taking an inventory of your assets before launch will save you a headache down the road. We’ve broken down the major components of what makes a server run. However, every situation is unique and you may need more guidance on what monthly plan, exactly, would best suit your needs. You may still be on the fence between a VPS or dedicated server. Would an SSD really be necessary? If you still have questions about what server to choose or you’re ready to get started setting your hosting environment up, contact the team at KnownHost today. Our experienced staff is always here to help. Why Self-hosted WordPress Is the Way to Go. Being an SEO guy, I use 8gb ram to run my SEO and traffic tools and I haven’t seen it lag. The hard disk size is also cool but not too impressive. Well, it’s good to have a powerful server especially when hosting sites that will bring in thousands of visitors. 5 common mistakes people make when choosing a dedicated server – Big Data Made Simple – One source. Many perspectives.